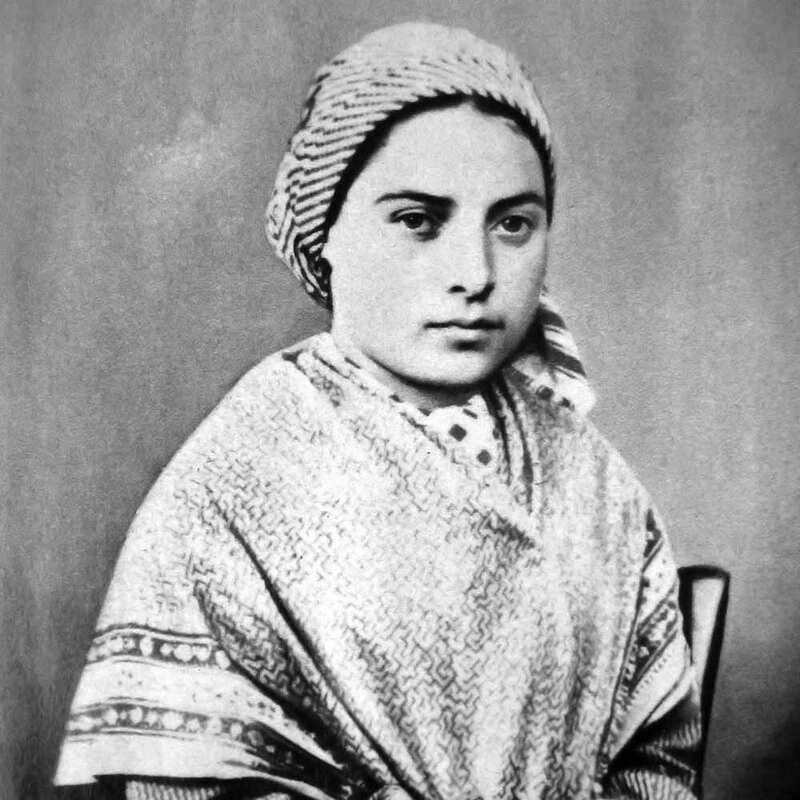 On February 11, 1858, a 14 year old girl named Bernadette Soubirous had an encounter with a “beautiful lady” when she was gathering firewood on the French side of the Pyrenees, near a town called Lourdes. 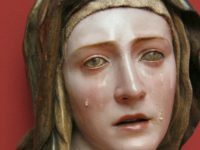 Here she tells the story of that encounter with the Blessed Virgin who has since been honored under the title Our Lady of Lourdes. I had gone down one day with two other girls to the bank of the river Gave when suddenly I heard a kind of rustling sound. I turned my head toward the field by the side of the river but the trees seemed quite still and the noise was evidently not from them. Then I looked up and caught sight of the cave where I saw a lady wearing a lovely white dress with a bright belt. On top of each of her feet was a pale yellow rose, the same color as her rosary beads. 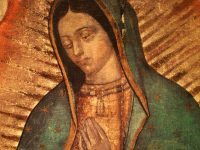 At this I rubbed my eyes, thinking I was seeing things, and I put my hands into the fold of my dress where my rosary was. I wanted to make the sign of the cross but for the life of me I couldn’t manage it and my hand just fell down. Then the lady made the sign of the cross herself and at the second attempt I managed to do the same, though my hands were trembling. Then I began to say the rosary while the lady let her beads slip through her fingers, without moving her lips. When I stopped saying the Hail Mary, she immediately vanished. I asked my two companions if they had noticed anything, but they said no. Of course they wanted to know what I was doing and I told them that I had seen a lady wearing a nice white dress, though I didn’t know who she was. I told them not to say anything about it, and they said I was silly to have anything to do with it. I said they were wrong and I came back next Sunday, feeling myself drawn to the place…. The third time I went the lady spoke to me and asked me to come every day for fifteen days. I said I would and then she said that she wanted me to tell the priests to build a chapel there. She also told me to drink from the stream. I went to the Gave, the only stream I could see. Then she made me realize she was not speaking of the Gave and she indicated a little trickle of water close by. When I got to it I could only find a few drops, mostly mud. I cupped my hands to catch some liquid without success and then I started to scrape the ground. I managed to find a few drops of water but only at the fourth attempt was there a sufficient amount for any kind of drink. The lady then vanished and I went back home. 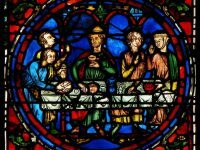 I went back each day for two weeks and each time, except one Monday and one Friday, the lady appeared and told me to look for a stream and wash in it and to see that the priests build a chapel there. I must also pray, she said, for the conversion of sinners. I asked her many times what she meant by that, but she only smiled. Finally with outstretched arms and eyes looking up to heaven she told me she was the Immaculate Conception. During the two weeks she told me three secrets but I was not to speak about them to anyone and so far I have not. 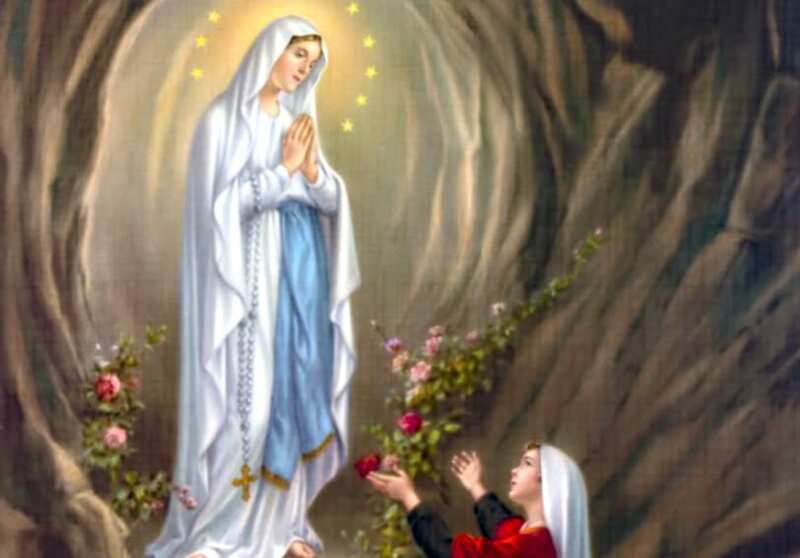 This excerpt from a letter from Saint Bernadette Soubirous about her experience at Lourdes is used in the Roman Office of Readings for the Feast of Our Lady of Lourdes on February 11. 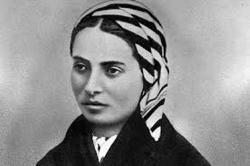 On February 11th 1858, Bernadette Soubirous, a poor teenage girl, went to collect firewood in a grotto filled with debris that had washed up from the nearby river. It was there that she had her first vision of ‘a beautiful lady’. 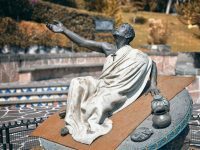 The lady, who later identified herself as “the Immaculate Conception,” instructed her to drink from a spring at that spot which was not visible at the time. In subsequent days, the spring appeared and its waters became a source of healing miracles that continue to this day. Bernadette’s story of this and 17 subsequent apparitions were initially doubted. But today, the town of Lourdes, where the apparitions took place, is an international center of pilgrimage. Bernadette latter became a nun and died in 1879. She was canonized by Pope Pius XI in 1933.